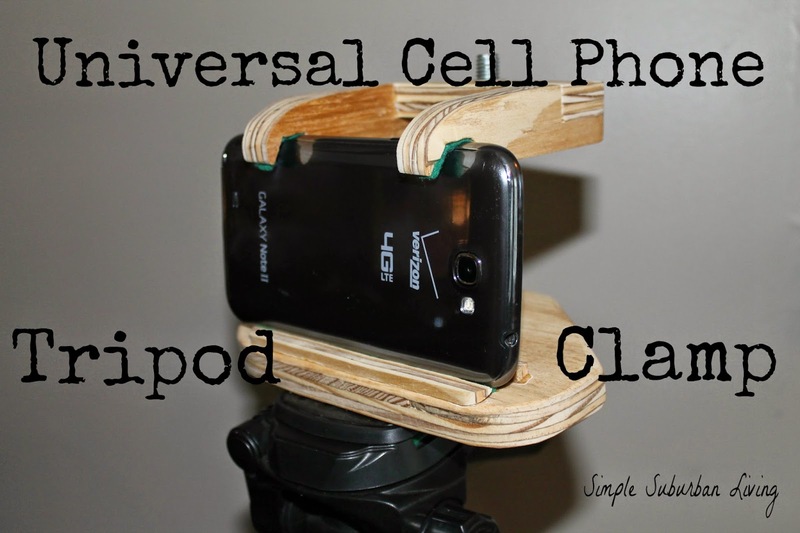 Check out this video to see an easy way to setup your cell phone on a tripod. I have used my Samsung Galaxy Note for many YouTube video clips as well as most of our home movies. Modern smart phones can take surprisingly good videos in HD in many cases rendering a separate camcorder unnecessary. The only problem I have run into is cell phones do not have a way to easily attach to a tripod and this can be very useful. I have been wanting to make something to get my phone setup with a tripod for quite some time and have finally gotten around to it this week. I have a very nice Cannon DSLR camera but it is not really designed as a video recorder, it is best at taking excellent still photos. The problem with the DSLR is that it does not auto focus which means I have to set it and focus on a small area and then make sure to stay within that area for the duration of the shot. In most cases this works ok but I would like to have the ability to throw my phone up on the tripod and use that for some shots. This would allow me to move around more during a certain shot and also allow me to use it as a backup if the battery dies or memory card is full on the DSLR. I can't tell you how many times I have been in the middle of a video and had the battery die or card fill up. The other issue I run into is not having the ability to use a wireless mic with the DSLR. The model that I have does not allow for the connection of an external mic of any kind, wireless or not. With my phone I am going to try to experiment with using some Bluetooth mics and headsets to see if the audio quality can be improved especially on windy days. For the construction of the DIY Cell Phone Clamp I am just using some 3/4" plywood that I had lying around along with a baby gate bolt and nut. I cut the wood to size using a scroll saw and drilled out the holes for the connecting bolts. I used a small handheld belt sander in a vice to sand all surfaces smooth and rounded off the corners. Once this was completed I assembled the components with wood glue and super glue for the bolts and fabric. The fabric pieces that I used were just from an old blanket. These are just to provide a bit of extra protection when the wood clamps down on the phone's edges. I design the clamp to fit most any sized phone and the clamp's jaws will allow for the phone to have a thicker case as well. So far the clamp system has been working great and I have been able to do a few clips using it. I will be trying the Bluetooth audio soon as well and will post an update when I have some results with the quality there.